The benefits of doing yard work is that sometimes you run across an interesting photographic subject. In this case, Stagmomantis carolina, one of the coolest and most alien looking insects in the animal kingdom. I’m always glad to find these in the garden and this one was phenomenally interesting to watch as a fly was buzzing around our photo session. 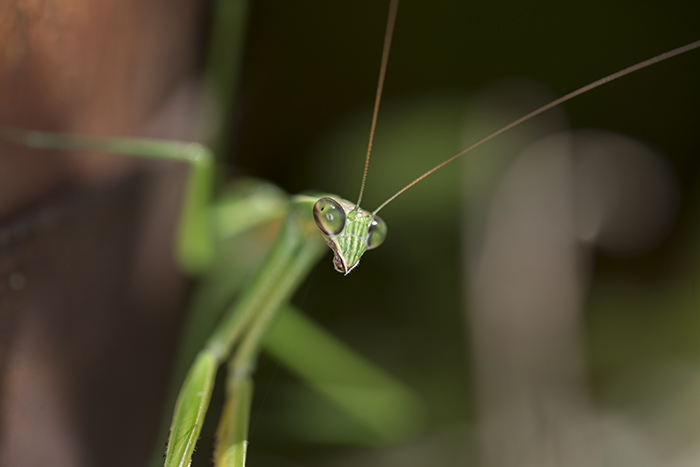 I was rather shocked at 1) how good their vision was in seeing and orienting to the fly and 2) how fast the mantids can actually move. If these things were any larger, they’d be terrifying. 100mm f/2.8L Macro IS USM? How did you light it? Especially for the last one there at f/20, I imagine you needed a lot of light. So much DOF for a macro. Yeah, the Canon EF 100mm Macro f/2.8L Macro IS USM. There is a Canon ring flash MR-14EX on the end of the lens as the only light source other than ambient. 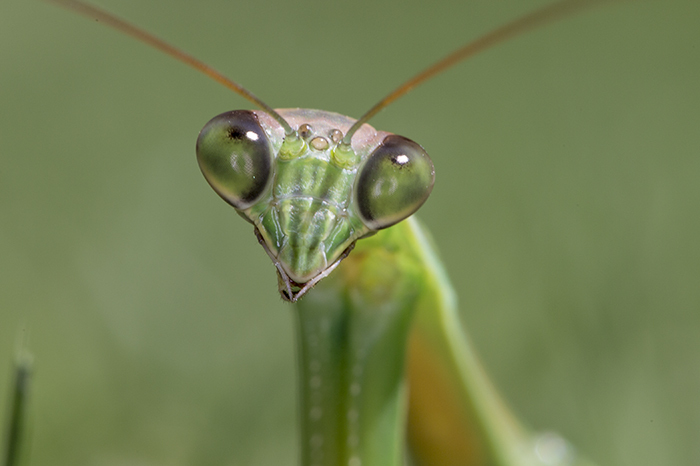 I was curious about the compound eye after reading your remarks. I found an article about them that was interesting to me. 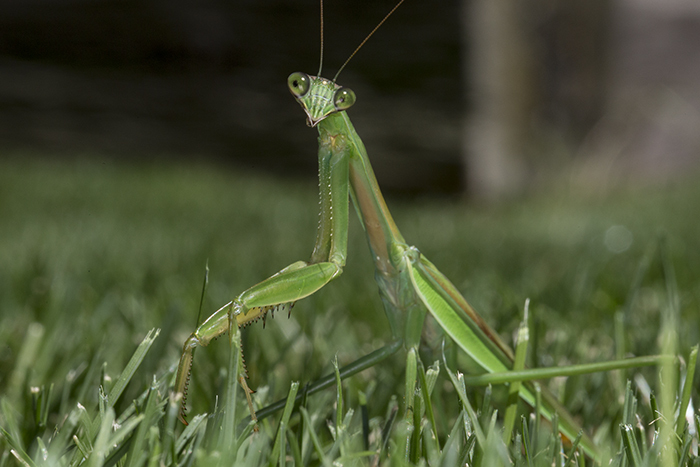 I have seen You Tube videos of a praying mantis attacking and eating a humming bird. Unless the video’s have been altered they reinforce your comments about how fast and vicious they are.